For other uses, see Art and Design. The Danish Museum of Art & Design (formerly, Danish Museum of Decorative Art; Danish: Kunstindustrimuseet) is a museum in Copenhagen for Danish and international design and crafts. It features works of famous Danish designers like Arne Jacobsen, Jacob Jensen and Kaare Klint, who was one of the two architects who remodeled the former Frederiks Hospital (built 1752–57) into a museum in the 1920s. The exhibition also features a variety of Chinese and German porcelain. The museum houses the biggest library for design in Scandinavia. It also hosts a fully annotated and illustrated database of all furniture made in Denmark from 1900 to 2000, originally compiled by Reese and Marilyn Palley and later donated to and further developed by the museum. 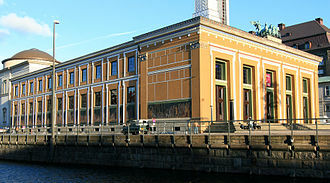 The museum was founded in 1890 at the initiative of, among others, Industriforeningen. A purpose-built building designed by Vilhelm Klein and located next to Industriforeningen's premises on City Hall Square was completed in 1894 and opened to the public the following year. The exhibitions were housed in separate galleries, each dedicated to a particular field such as porcelain, faience, silver, furniture, glass and textiles. This arrangement reflected the primary aim of the museum which was to serve as a source of inspiration for craftsmen and manufacturers by highlighting the very best in craftsmenship and design from different ages. In 1926 the museum moved to its current building, the defunct Frederick's Hospital from 1757, a gift from the banker Emil Glückstadt. The architects Kaare Klint and Ivar Bentsen had undertaken the necessary alterations and furnishings. The museum is home to the largest library in Scandinavia dedicated to decorative arts and industrial design. Open to the general public, the library is at once a museum library, research library, and Danish central library within its field. Opening hours are Tuesday–Friday from 11–17. The library contains more than 1,000 journals. The latest issues of the 75 journals and magazines which the museum subscribes to can be read in the library's reading room. The reading room of the library hosts public lectures on design-related topics which draw upon the collections in both the museum and the library. The Danish Design Archive and the Poster Collection are located on the museum's first floor. The museum has a small auditorium on the first floor seating 120 people. It is rented out for lectures, concerts, receptions and other events. Among the events which take place in the auditorium are chamber music concerts with musicians from Copenhagen Philharmonic. Marketed under the name ½12 Concerts, they take place on Sundays at 11.30 am and tickets are sold at the entrance for DKK 90 (DKK 50 for members). In the first Olsen Gang film, Bredgade 68 is where the Olsen Gang steals the golden statue. ^ a b "Designmuseum Danmark". Gyldendal. Retrieved 2011-11-01. ^ "Bibliotek: Information" (in Danish). Designmuseum Danmark. Archived from the original on 2011-11-04. Retrieved 2011-11-02. ^ "Bibliotek: Tidsskrifter" (in Danish). Designmuseum Danmark. Archived from the original on 2011-11-18. Retrieved 2011-11-02. ^ "Foredrag i biblioteket" (in Danish). Designmuseum Danmark. Archived from the original on 2011-10-19. Retrieved 2011-11-02. ^ "Leje af lokaler" (in Danish). Designmuseum Danmark. Archived from the original on 2011-10-17. Retrieved 2011-11-01. ^ "Olsen Banden Die Olsenbande". olsenbande-homepage.deke (in Danish). Retrieved 2014-05-29. Wikimedia Commons has media related to Designmuseum Danmark. Arne Emil Jacobsen, Hon. FAIA was a Danish architect and designer. He is remembered for his contribution to architectural Functionalism as well as for the success he enjoyed with simple. Arne Jacobsen was born on 11 February 1902 in Copenhagen and his father Johan was a wholesale trader in safety pins and snap fasteners. His mother Pouline was a bank teller whose hobby was painting floral motifs and he first hoped to become a painter but was dissuaded by his father who encouraged him to opt instead for the more secure domain of architecture. Still a student, in 1925 Jacobsen participated in the Paris Art Deco fair, Exposition Internationale des Arts Décoratifs et Industriels Modernes, on that trip, he was struck by the pioneering aesthetic of Le Corbusiers LEsprit Nouveau pavilion. Before leaving the Academy, Jacobsen travelled to Germany, where he acquainted with the rationalist architecture of Mies van der Rohe. Their work influenced his early designs including his graduation project, an art gallery, after completing architecture school, he first worked at city architect Poul Holsøes architectural practice. It was a spiral-shaped, flat-roofed house in glass and concrete, incorporating a private garage, a boathouse, other striking features were windows that rolled down like car windows, a conveyor tube for the mail and a kitchen stocked with ready-made meals. A Dodge Cabriolet Coupé was parked in the garage, there was a Chris Craft in the boathouse, Jacobsen immediately became recognised as an ultra-modern architect. The year after winning the House of the Future award, Arne Jacobsen set up his own office and he designed the functionalist Rothenborg House, which he planned in every detail, a characteristic of many of his works. Soon afterwards, he won a competition from Gentofte Municipality for the design of a resort complex in Klampenborg on the Øresund coast just north of Copenhagen. The various components of the resort became his major breakthrough in Denmark. In 1932, the first item, the Bellevue Sea Bath, was completed, Jacobsen designed everything from the characteristic blue-striped lifeguard towers and changing cabins to the tickets, season cards and even the uniforms of the employees. The Hirschsprung Collection is an art museum located on Stockholmsgade in Copenhagen, Denmark. It is located in a setting in Østre Anlæg, near the Danish National Gallery. The emphasis is on the Danish Golden Age, from 1800 to 1850, the museum is built around the personal art collection of Heinrich Hirschsprung, a tobacco manufacturer and patron of the arts who founded his art collection in 1865. Almost four decades later, in 1902, he donated it to the Danish state and it is displayed in a purpose-built Neoclassical museum building designed by Hermann Baagøe Storck and completed in 1911. 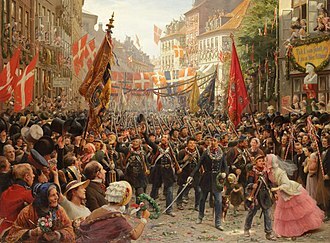 Heinrich Hirschsprung was a tobacco manufacturer, over a period of four decades, beginning in 1866, Hirschsprung built an extensive collection of Danish art from the beginning of the 18th century and up to their own day. The collection was shown to the public for the first time in 1888 at Charlottenborg and this happened in connection with the Nordic exhibition of Industry and Art which was expected to draw many foreign visitors to Copenhagen. The exhibition catalogue included 313 items, representing some 60 Danish artists, about half were paintings while the rest were drawings, watercolours and some sculptures. In 1900, Pauline and Heinrich Hirschsprung decided to donate their art collection to the Danish state and they had a deed of gift drawn up, which was deposited with the Danish Ministry of Cultural Affairs. However, the donation was not made public two years later, in 1902, when the collection was once again exhibited at Charlottenborg. At the same event, the art historian Emil Hannover was put in charge of cataloging the collection, the exhibition at Charlottenborg included renderings of the planned museum building, which had been designed by the architect Hermann Baagøe Storck. Under the terms of the deed of gift, the Danish state and the City of Copenhagen, on their side, were required to make a site and a building available for its exhibition. 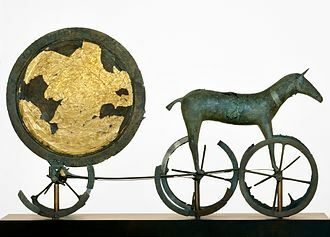 This scheme was similar to the one which had agreed upon in connection with Carl Jacobsens foundation of the Ny Carlsberg Glyptotek. Rudolph Tegner acquired the central portion of the area in 1916. He initially mounted the group sculpture King Oedipus and Antigone and later, in 1924, followed the group sculpture The Enigma of Lone, the museum building was built to Tegners own design with the assistance of the architect Mogens Lassen. Construction began in 1937 and it was inaugurated in 1938, a renovation was completed in 2003. The museum is built in concrete to an unusual bunker-like Modernist design, the building needed large dimensions to embrace Tegners works many of which are of very large proportions. The core of the museum is a large gallery with ceilings 11 metres high. The original intention was to build lower galleries on all of its sides, the museum has been built without picture windows to avoid distracting the visitor with views of the scenic surroundings. Except for a window in the gable, all natural light comes from skylights. Concrete as a material was chosen for reasons of fire safety, the difference in scale between the entrance section and the main gallery is designed to create an overwhelming experience for those entering the museum and to enhance its character of a treasury. Frederiksborg Castle is a palatial complex in Hillerød, Denmark. Situated on three islets in the Slotssøen, it is adjoined by a formal garden in the Baroque style. After a serious fire in 1859, the castle was rebuilt on the basis of old plans, thanks to public support and the brewer J. C. Jacobsen, the building and its apartments were fully restored by 1882 when it was reopened to the public as the Danish Museum of National History, open throughout the year, the museum contains the largest collection of portrait paintings in Denmark. The estate originally known as Hillerødsholm near Hillerød had traditionally belonged to the Gøyes, in the 1520s and 1530s, Mogens Gøye, Steward of the Realm, had been instrumental in introducing the Danish Reformation. He lived in a building on the most northerly of three adjoining islets on the estates lake. The property was known as Hillerødsholm, after his daughter, married the courtier and naval hero Herluf Trolle in 1544, the couple became its proprietors. In the 1540s, Trolle replaced the old building with a manor house. As the old building with towers was too small for the king. 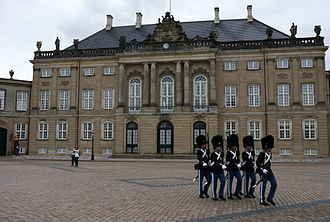 At the kings request, Trolle remained on the premises until the work was completed, the king renamed the estate Frederiksborg. Interested in deer hunting, he used the castle with the neighbouring Bath House as a hunting lodge, centred as it was in the fields. The additions included a wall to the south, separating the estate from the town. Still standing today is the quadrangular red-brick, tip-roofed house on Staldgade known as Herluf Trolles Tower, adjoining this are two long, narrow red-brick stable buildings, the Kings Stables to the west and the Hussars Stables to the east. These in turn lead to a wall along the lake with two round towers completed in 1562 bearing the arms of Frederick II and his motto Mein Hoffnung zu Gott allein, on the central islet, the long pantry house with stepped gables can be seen today. The most important building from Frederick IIs times is the Bath House in the park northwest of the islets, completed in 1581 in the Renaissance style with three protruding step-gabled wings, it served the king as a hunting lodge during the summer months. The City Hall Square is a public square in the centre of Copenhagen, located in front of the Copenhagen City Hall. Its large size, its location and its affiliation with the city hall make it a popular venue for a variety of events. It is often used as a point for measuring distances from Copenhagen. Opposite Strøget, Vesterbrogade extends into the Vesterbro district and crosses the border to Frederiksberg, andersens Boulevard, Copenhagens most heavily congested street, and Vester Voldgade pass the square on either side of the city hall. Apart from the City Hall, notable buildings around the square include Politikens Hus, the headquarters of national daily newspaper Politiken, and Industriens Hus, the City Hall Square is located at the site of Copenhagens old hay market and the Western City Gate with surrounding fortifications. Vilhelm Klein designed a building for the first exhibition which was built at the corner of Vesterbro Passage which was built from 1870 to 1872. The four-winged, two-storey building was built in red brick to a design which was inspired by Italian Renaissance architecture, in 1879 the centre of the complex was re-built into a large domed exhibition hall. On 1 January 1888 the hay market moved to a new location outside Kødbyen, the site is still named Halmtorvet after it. The main venue of the Nordic Exhibition of 1888 was a timber structure topped by a huge dome with a flag pole at its top. Its architect was the young and unknown Martin Nyrop who was to design the new city hall. In the 1880s, plans were conceived to build a new city hall on the grounds, and in 1888, an architecture competition was held in early 1889. Apart from Nyrop, who won the competition, Vilhelm Dahlerup, on 28 July 1894, the foundation stone was laid. When it was inaugurated in 1905, the square in front of it one of the most central. The square was redesigned in 1995 and 1996 by KHR Architects, the intersecting street leading from Vesterbrogade to Strøget was removed, uniting the two sides of the square. A bus hub was built on the side of the square. In 2010, work began on a new station on the site, requiring a major reorganisation of the site. The Dragon Fountain, depicting a bull and a dragon in combat, designed by Thorvald Bindesbøll and Joakim Skovgaard, out was inaugurated in 1904. Graphic design is the process of visual communication and problem-solving using one or more of typography and illustration. The field is considered a subset of visual communication and communication design, Graphic designers create and combine symbols and text to form visual representations of ideas and messages. They use typography, visual arts and page layout techniques to create visual compositions, common uses of graphic design include corporate design, editorial design, wayfinding or environmental design, web design, communication design, product packaging and signage. The term graphic design was coined by William Addison Dwiggins in 1922, graphic design-like activities span human existence, from the caves of Lascaux, to Romes Trajans Column to the illuminated manuscripts of the Middle Ages, to the neon lights of Ginza, Tokyo. 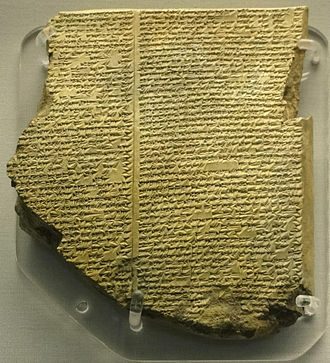 In Babylon, artisans pressed cuneiform inscriptions into clay bricks or tablets which were used for construction, the bricks gave information such as the name of the reigning monarch, the builder, or some other dignitary. This was the first known road sign announcing the name of the governor of a state or mayor of the city, the Egyptians developed communication by hieroglyphics that used picture symbols dating as far back as 136 B. C. found on the Rosetta Stone. During the Dark Ages, from 500 AD to 1450 AD, monks created elaborate and they share many elements, principles, practices and sometimes the same benefactor or client. In advertising, the objective is the sale of goods. In graphic design, the essence is to order to information, form to ideas, expression. Graphic design in the United States began with Benjamin Franklin who used his newspaper The Pennsylvania Gazette, to master the art of publicity to promote his own books and his invention is still sold today and is known as the Franklin stove. American advertising initially imitated British newspapers and magazines, advertisements were printed in scrambled type and uneven lines that made it difficult to read. Franklin better organized this by adding 14-point type for the first line of the advertisement, although shortened and centered it, Franklin added illustrations, something that London printers had not attempted. Franklin was the first to utilize logos, which were early symbols that announced such services as opticians by displaying golden spectacles, Franklin taught advertisers that the use of detail was important in marketing their products. Some advertisements ran for 10-20 lines, including color, varieties, during the Tang Dynasty wood blocks were cut to print on textiles and to reproduce Buddhist texts. A Buddhist scripture printed in 868 is the earliest known printed book, beginning in the 11th century, longer scrolls and books were produced using movable type printing, making books widely available during the Song dynasty. During the 17th-18th century movable type was used for handbills or trade cards which were printed from wood or copper engravings and these documents announced a business and its location. English painter William Hogarth used his skill in engraving was one of the first to design for business trade, in Mainz Germany, in 1448, Johann Gutenberg introduced movable type using a new metal alloy for use in a printing press and opened a new era of commerce. The Olsen Gang is a fictional Danish criminal gang in the eponymous comedy film series. The gangs leader is the genius and habitual offender Egon Olsen and his accomplices are Benny. The gang members are harmless, extremely rarely target ordinary citizens, a Norwegian version of the film series was made, in most cases based directly on the scripts for the Danish films. Later, starting in 1981, Sweden produced their own version, most of the films start with Egon coming out of jail and being enthusiastically welcomed by Benny and Kjeld. Plans are often two-step plans, where the first heist will get the equipment for the real, bennys main function in the heists, besides get-away-driver, is often as keeper of The Thing, a metal bottle opener used for manipulating most any machinery. Egon often serves time with lawyers or executives who provide him with the information he needs, Egon is a brilliant safecracker, operating manually, specializing in the fictive Franz Jäger brand. Egons plans often bring the gang into perilously close contact with white-collar criminals from the Danish business elite. For example, in one episode some well-connected people try to make out of the so-called butter mountain. Egon Olsen learns about this from a lawyer who is serving time. But as always, Egon – after having succeeded with a genius plan – loses because he underestimates the power, for several movies the role of antagonist was filled by CEO Hallandsen of Hallandsen Inc. Egon is usually arrested in the end, for reasons, bad luck, some completely irrelevant crime. A recurring part of the films is making fun of danish authorities, superintendent Jensen to his younger colleague, inspector Holm, The only thing the police can do when the real big criminals come by is offer them protection. Jensen incredously uses the recurring exclamation Bagmændene. to reference the in-joke of powerful players moving outside of the law, in the early episodes and soft-erotica were more freely used than in ones, where said content was somewhat watered down to suit younger viewers. Later movies focused on the interplay between Jensen and Holm and Egon and Kjeld, with a frequent outburst of anger from either Olsen or superintendent Jensen. The Ny Carlsberg Glyptotek is an art museum in Copenhagen, Denmark. The collection is built around the collection of Carl Jacobsen. However, the museum is noted for its collection of painting that includes an extensive collection of French impressionists and Post-impressionists as well as Danish Golden Age paintings. The museums collection includes all the sculptures of Degas, including the series of dancers. Numerous works by Norwegian-Danish sculptor Stephan Sinding are featured prominently in various sections of the museum, Carl Jacobsen was a dedicated art collector. He was particularly interested in art, but over the years he acquired a considerable collection of French. When his private villa in 1882 was extended with a winter garden, the same year the collection was opened to the public. In the following years the museum was expanded on a number of occasions to meet the need for space for his steadily growing collections. In spite of the extensions, it was finally clear the existing premises were inadequate. On 8 March 1888 Carl Jacobsen donated his collection to the Danish State, Jacobsen was displeased with the location which he found to be too far from the city centre and he had reservations about the proximity of Tivoli which he found common. 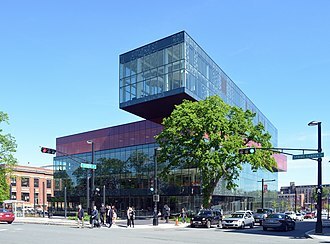 Instead he wanted a building on the new city hall square. 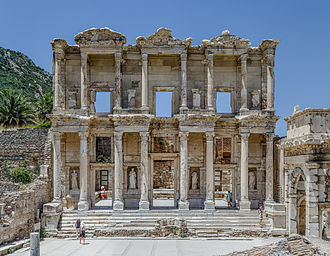 It was Carl Jacobsen who chose the name for the museum, with inspiration from Ludwig Is Glyptothek in Munich, the moat around the radan was filled and the new museum opened first on 1 May 1897. 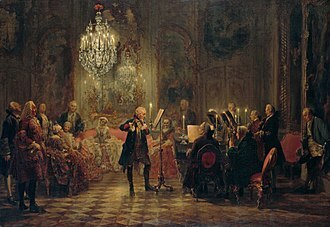 At first it only included Jacobsens modern collection with French and Danish works from the 18th century, in January 1899 Carl Jacobsen donated his collection of Antique art to the museum which made an expansion necessary. It was designed by Hack Kampmann while Dahlerup designed a garden which connected the new wing to the old building. In 1996 the museum was again extended, this time with an infill constructed in one of its courtyards to the design of Henning Larsen. In 2006, the building underwent a major renovation programme under the direction of Danish architects Dissing + Weitling. the building is often noted for its elegance in its own right and the synthesis it creates with the works of art. The krone is the official currency of Denmark and the Faroe Islands, introduced on 1 January 1875. Both the ISO code DKK and currency sign kr. are in use, the former precedes the value. The currency is referred to as the Danish crown in English. Historically, krone coins have been minted in Denmark since the 17th century, one krone is subdivided into 100 øre, the name øre possibly deriving from Latin aureus meaning gold coin. Altogether there are eleven denominations of the krone, with the smallest being the 50 øre coin, formerly there were more øre coins, but those were discontinued due to inflation. The krone is pegged to the euro via the ERM II, the oldest known Danish coin is a penny struck AD 825–840, but the earliest systematic minting produced the so-called korsmønter or cross coins minted by Harald Bluetooth in the late 10th century. Organised minting in Denmark was introduced on a larger scale by Canute the Great in the 1020s, for almost 1,000 years, Danish kings – with a few exceptions – have issued coins with their name, monogram and/or portrait. Taxes were sometimes imposed via the coinage, e. g. by the substitution of coins handed in by new coins handed out with a lower silver content. Danish coinage was based on the Carolingian silver standard. Periodically, the value of the minted coins was reduced. This was mainly done to generate income for the monarch and/or the state, as a result of the debasement, the public started to lose trust in the respective coins. Danish currency was overhauled several times in attempts to restore public trust in the coins, in 1619 a new currency was introduced in Denmark, the krone. One krone had the value of 1 1/2 Danish Rigsdaler Species accounting for 96 Kroneskillinger, for 144 common Skillings, until the late 18th century, the krone was a denomination equal to 8 mark, a subunit of the Danish rigsdaler. A new krone was introduced as the currency of Denmark in January 1875 and it replaced the rigsdaler at a rate of 2 kroner =1 rigsdaler. This placed the krone on the standard at a rate of 2480 kroner =1 kilogram fine gold. Nivaagaard is a historic property in Nivå in the northern outskirts of Copenhagen, Denmark. It is now home to an art gallery and the park is open to the public, the estate was founded in 1767 by Adam von Lüttichau when he purchased Nivaa Havnegård from the Crown. The property was from the associated with the Galley Harbour at Nivaa which was planned in 1753. 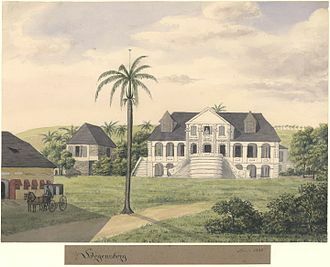 The name Nivaagaard was introduced in 1793, the estate was acquired by Alfred Hage in 1862. The main building was damaged in a fire in 1873. The architect Ferdinand Vilhelm Jensen designed a new house which was completed in 1881, Nivaagaard was a dominating factor in Nivaas development over the next decades. The first brickyard on the estate was established by Queen Louise in 1701, by 1720 it produced brick for the royal buildings in Copenhagen and the northern part of Zealand. These activities increased and were modernized in the 1840s, in 1857 the brickyard was one of the first in Denmark to introduce a steam engine in the production chain. In 1870, eight years after Alfred Hage had acquired the estate, the oven remained in use for 97 years up until 1967. The brickyard closed in 1980 and re-opened as a museum, the ring oven, which is now listed, is the earliest of Hoffmanns designs which still exist today. The art collection was founded by Johannes Hage between 1895 and 1905 and it covered European Renaissance and Baroque painting and Danish Golden Age art. A small museum building in temple style designed by Johan Schrøder was built near the house in 1903. On 30 September 1908 Hage turned his collection into an institution which made it available to the public. He chaired the board until his death in 1923, the management of the museum was professionalized in 1981 and it arranged its first special exhibition in 1983. In 1988 the museum building was expanded with support from the Velux Foundation, the new wing was designed by royal building inspector David Bretton-Meyer. The European collection contains works by Giovanni Bellini, Claude Lorrain, the Danish collection contains works by some of the leading artists of the Danish Golden Age, including C. W.
Brede House is a late 18th-century country house in Kongens Lyngby north of Copenhagen, Denmark. Originally built for the owner of the adjacent Brede Works, it is now owned by the National Museum of Denmark, Brede House was built for Peter van Hemert, the owner of Brede Works. It is believed that the architect was Andreas Kirkerup while Interior Designer to the Danish Court, joseph Christian Lillie was entrusted with interior designs and probably furnishing the house. Peter van Hemert went bankrupt in 1805 and both his house and industrial plant were sold by auction, the National Museum acquired the house in 1959 and put it through a comprehensive restoration which was not completed until 1974. The Neoclassical house now serves as a house museum which showcases a typical upper-class home of the 1790s. The house is now furnished with period furniture based on the detailed inventory lists which were prepared for each room in connection with the 1805 auction. The park at Brede House is situated to the rear of the building, with Brede Works to the right and a terraced slope with fruit trees to the left as seen from the main building. View of the sea from the museum lawn. Sculpture garden, Louisiana Art Museum. The hospital, likely in 1752 or shortly thereafter. A Boeing 747 aircraft with livery designating it as Air Force One. The cyan forms, the US flag, presidential seal and the Caslon lettering, were all designed at different times, by different designers, for different purposes, and combined by designer Raymond Loewy in this one single aircraft exterior design. 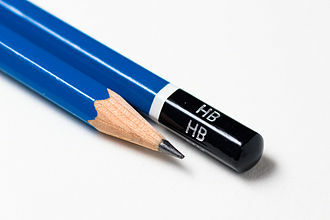 The pencil is one of the most basic graphic design tools. 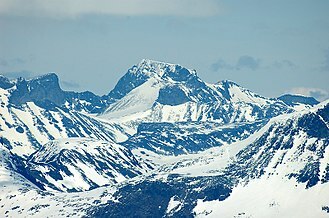 Galdhøpiggen is the highest point in Scandinavia and is a part of the Scandinavian Mountains. Danish Jewish Museum in Copenhagen.